The quilt is called Dazzling and so will be the room you put it in. 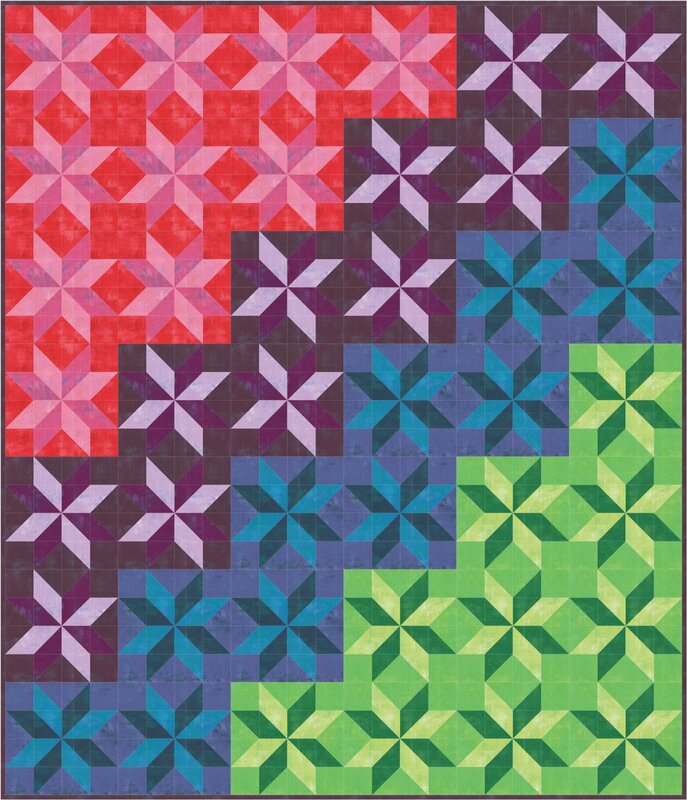 Big Quilt- 72 1/2" by 84 1/2" you will love making. Uses Moda Grunge designed by BasicGrey.